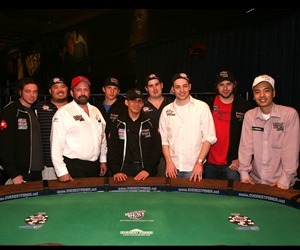 Just before 3:30 Tuesday morning Dean Hamrick was eliminated in 10th spot and suddenly the 2008 World Series of Poker Main Event was put on pause. The remaining nine players will now have to wait until November 9 to return to the Rio in Las Vegas to continue chasing down the World Championship and the first place prize of $9.1 million. The November Nine are a diverse group of players that include no fewer than four countries including a Russian, a Dane, two Canadians and five Americans. 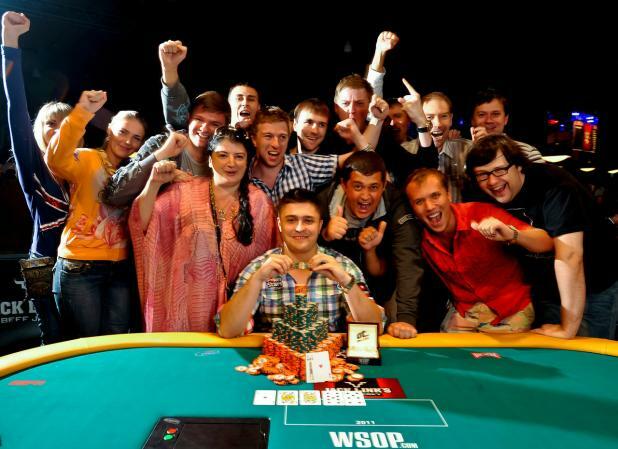 There’s also a chess player, a salesmen, a college student as well the usual collection of professional poker players. But it’s the salesman, Dennis Phillips who will carry the chip lead for 117 days until they resume play. Phillips, who plays tournaments at his local casino 3-4 nights per week, ended the night with 26,295,000 which is good enough to put him 1,895,000 ahead of Russia’s, Ivan Demidov who finished with 24,400,000. 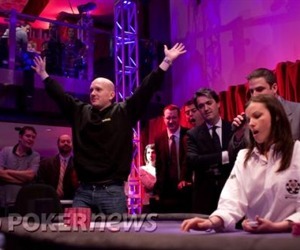 While it took nearly three hours of play for Hamrick to be eliminated, the November Nine were almost born on the first hand of 10-handed play. Marquis opened for 525,000 and Schwartz, the chess player from Brooklyn, NY, re-raised to 1,625,000. After thinking about it for some time Marquis put in the third bet to 4,500,000 which caused Schwartz to move all-in. Following some time in the tank Marquis folded allowing Schwartz to show pocket Aces. Marquis would then get involved in another big pot and found himself on the ropes for his tournament life on the 19th hand of 10-handed play. After Hamrick raised to 750,000, Marquis re-raised to 2,100,000 and Hamrick shoved for 3,339,000 more. Once again Marquis went into the tank before calling; he showed As Qh while Hamrick showed pocket queens. Hamrick dodged the aces on flop, but the board went runner-runner flush for Marquis. Some two hours later those two would get involved in a pot again, this time leading to the elimination of Hamrick and the birth of the November Nine. Hamrick moved all-in for his last 3,420,000, Marquis then moved all-in over the top to isolate. Hamrick showed As Jc while Marquis held pocket queens. This time the queens held up and the 25-year-old was the bubble boy. 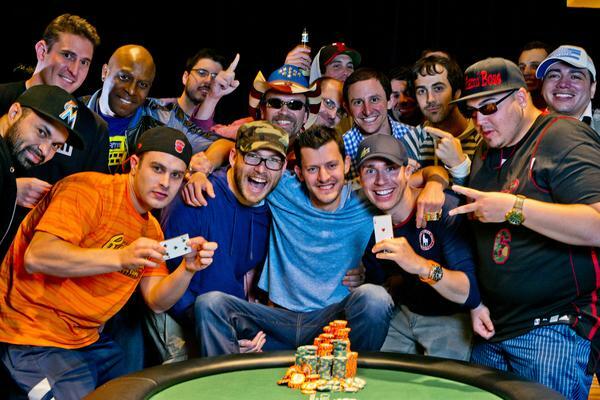 Stay tuned to WorldSeriesofPoker.com and BluffMagazine.com between now and November for profiles and features on all nine players as they march towards a historic final table.